Handyman Interior Exterior RM Barking and Dagenham | RDA Cleaning & Maintenance Ltd.
We have been doing our best to provide all you private and business customers residing in Barking and Dagenham with the highest quality, and most affordable plumbing, carpentry, painting & more services in the area! Our specialised handyman service is perfect for tenant, landlords, business property owners, and just about anybody who has a home or business property in the area. Our employees are multi-skilled, so they can handle more than 1 repair, maintenance, renovation or odd job at 1 booking, if there is sufficient time. You can save time and money by booking the half or full day packages, which come with great discounts. The handyman Barking and Dagenham RM can provide carpentry services as well - if it’s a simple job like assembling a drawer or a table he will do it. However, more serious carpentry jobs which require specialised skills like roofing or construction work is out of the question. 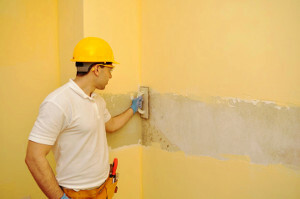 Barking and Dagenham RM Professional Handyman - Call Now! To book our professional handyman Barking and Dagenham RM services, all you really need to do is give us a quick call at 020 3404 1646, or send us an online request here. We are available to process your request, so you can call at any time or day. We will return you a written confirmation within 2 hours via SMS and e-mail. All our prices are fixed, and we require no deposit for booking. We do offer big discounts for booking half or full day packages, and also if you book more than one of the services provided by our company at the same time! Get you property back into shape - book our handyman service now!